Explore what is nearby Nuevo Vallarta! 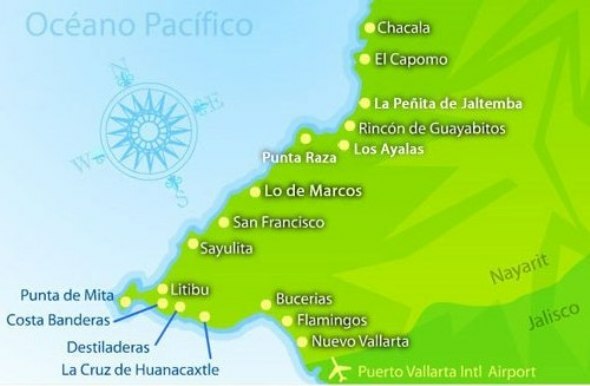 Nuevo Vallarta is the gateway to many great villages surrounding the Bay of Banderas, just waiting to be discovered. These villages, most only minutes away and offer more than you can imagine, each distinct in their own way!